Professional designers are given a design brief from their clients. At first glance, a design brief might look like a simple set of instructions, but it’s a little deeper than that. A good design brief talks not just about the nuts and bolts of a project, like deadline, budget, or size (“It has to fit on a standard piece of office paper”). Those can be in there, but a good design brief goes further. It includes a lot more about the goals of the project, the audience the project should engage with, and what the desired reaction of the audience is. The instructions from most scientific conferences usually have some, but not all, of the elements for a good design brief for poster makers. Here is my attempt to flesh out a design brief for conference posters for the stuff they don’t put in the instructions. Posters should get conference attendees to talk to the presenter. Because attendees are busy, posters must grab attention, even if a potential reader is quite a long way from the poster. Similarly, posters should make an implicit promise to the reader that the gist of the poster can be grasped quickly. Conference posters are printed on paper and hung indoors, often under relatively dim artificial light that is not under the control of the presenter. They must be visible even under poor lighting conditions. The large number of people walking around means that the lower part of the poster may be obscured, so titles must be high and large to be seen by as many people from as far away as possible. Conference attendees are smart, literate adults who are busy and distracted by the vast amount of material in a conference. They are often walking at some distance from the poster. A conference audience may have minor vision problems. Attendees range in age from 20 to 60 (or older), which means that some attendees probably need reading glasses for presbyopia. In some conferences, attendance skews towards greater numbers of men, which means a greater number of individuals may be colour blind, particularly red/green colour blind. Academics will generally want to convey an impression of rigor, thoughtfulness, thoroughness, and careful attention to detail. This can be done with humour or playfulness, as long as it never implies carelessness. Colours should be visible to those who are colour blind. Many academics wish to have their posters reflect their institutional brands, which can be reflected in the colour palette of the poster. How To Write An Effective Design Brief and Get The Design You Want! 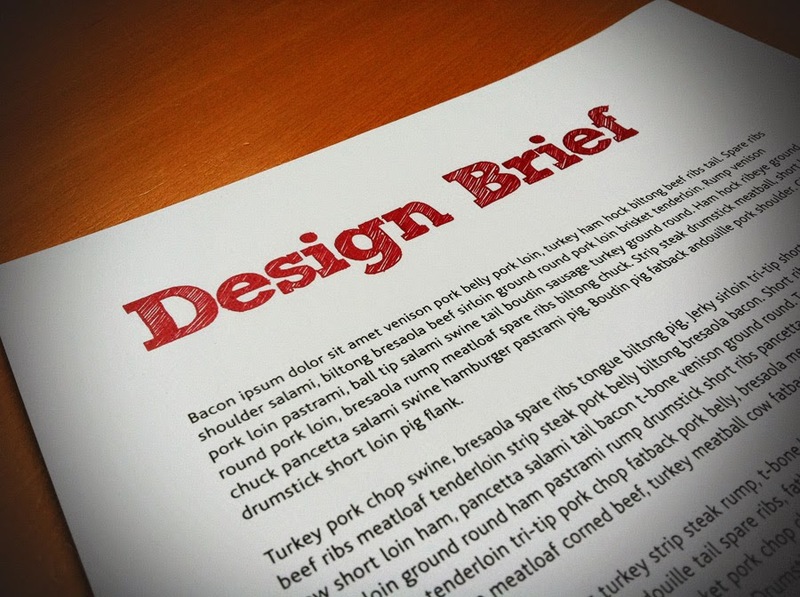 How do you write a design brief?